Subcontractor SMEs looking to capture new clients, reinforce collaborations with other companies, and access foreign markets, have a date from 4 to 6 June at SUBCONTRATACIÓN 2019. The International Fair of Manufacturing Processes and Equipment has the slogan “Connecting companies, growing business”. The results from the last edition attest to the strength of the commercial proposal: A total of 612 exhibiting firms from 23 countries held around 15,000 commercial contacts throughout the event. It also hosted the European Industrial Subcontracting Meeting, the largest B2B platform held in Spain. When analysed more in depth, the 2017 surveys reflected a positive balance in which 68% of exhibiting visitors claimed to have made contact with new clients, 53% received orders on-site, and 52% started new commercial projects. 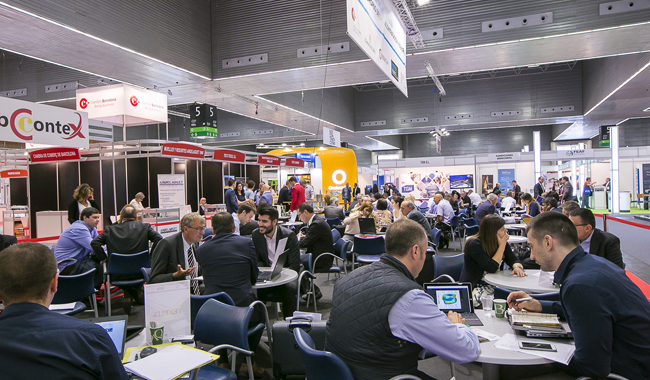 For the 2019 edition, SUBCONTRATACIÓN has strengthened its position as the only trade show in Spain for subcontractor SMEs and leading platform for advanced manufacturing. The incorporation of “productive intelligence” – making use of emerging technologies, integrating advanced materials, and improving efficiency and sustainability in the resources used – will determine the competitiveness of companies, so the event will offer responses with increased added value through the leading national and international specialists from countries like Portugal, Italy and France. The profitability of the event is boosted by a new edition of the European Industrial Subcontracting Meeting which will attract close to 100 contractors. The meetings will be divided into three large blocks, one per day. They will be aimed at purchasers from the railway, iron and steel, energy, electrical-electronic, machinery, general subcontracting, automotive and aeronautics sectors, as well as the additive manufacturing sector. It is organised by the Barcelona Chamber of Commerce, the Bilbao Chamber of Commerce and the Bilbao Exhibition Centre, with the collaboration of the Spanish Subcontracting Network. Participant satisfaction in 2017 was high: 82.5% of attendees said they were very satisfied with the interviews, and 66.7% estimated that they would formalise trade agreements with the companies interviewed. This is the + Industry platform claim, the name given to the seven events that will transform Bilbao Exhibition Centre into the largest meeting point for the industry from 4 to 6 June 2019. SUBCONTRATACIÓN will coincide with ADDIT3D, International Trade Show on Additive and 3D Manufacturing, IT by FERROFORMA, International Industry Tools and Supplies Fair, MAINTENANCE, International Industrial Maintenance Fair, PUMPS & VALVES, International Trade Show for Pump Systems, Valves and Equipment for Industrial Processes, BeDIGITAL, 4.0 Solutions and Tools for Industry, and FITMAQ, International Fair of Bargain & Used Machinery. Celebrating SUBCONTRATACIÓN at the same time as these six events will provide its participants with an extensive industrial space. Forecasts point to 21,000 visitors attending the event and a total of 1,400 exhibiting firms.